Welcome 2017 Stampin' Up! Holiday Catalog! The amazing new 2017 Holiday catalog from Stampin' Up! Jam packed with goodness! If you do not have a demonstrator or a catalog of your own, contact me! I will get one to you (sorry - United States only)! So, this project is a little glimpse of the goodness you will find inside. mini pizza gift boxes? New fave!! Year of Cheer designer series paper in all metallics -- gorgeous! mini gift bows -- top it all off perfectly! And just when you thought it couldn't get any better? Stampin' Up! 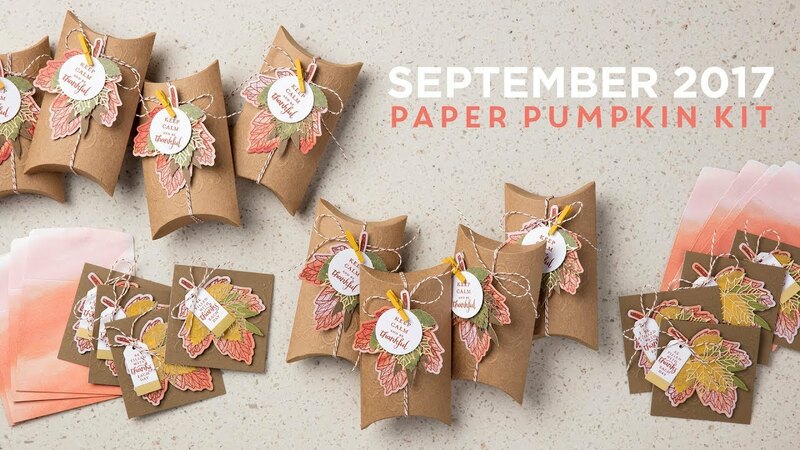 is offering this awesome stamp set, Merry Patterns, FREE as a Host Bonus from now until October 31st. Any workshop or order total of $300 or more automatically qualifies, and will get this in addition to all the other host freebies! Dive right in and get your holiday crafting groove on! Shop now by clicking on any of the items below or use my Shop Now tab in the sidebar. Use host code 336JJWTE this month for a roll of 7/8" Striped Ribbon from the Holiday catalog FREE, from me, with any $50 or more order! If your order is greater than $150, don't use the host code, I will be sure you get your gift!